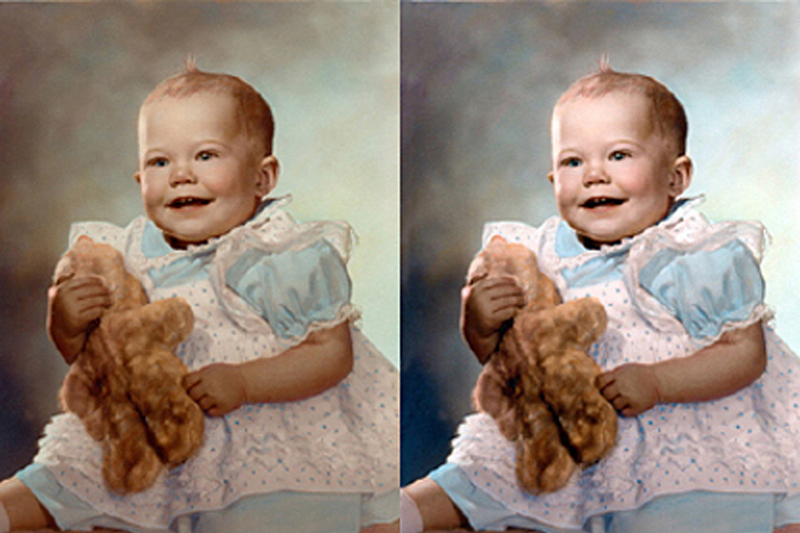 Example of color correction. Click for larger image. Where you only need minor dust, minor scratch removal, and color correction. Generally there wouldn’t be any damage to the face/s of those in the Photo unless its very minor and in open skin area. We can include minimal damage in the background and plain areas.